We hope that you have had a lovely Christmas and are excited to be back in school for the Spring term. We have lots of exciting things planned this term and we're really looking forward to getting started. 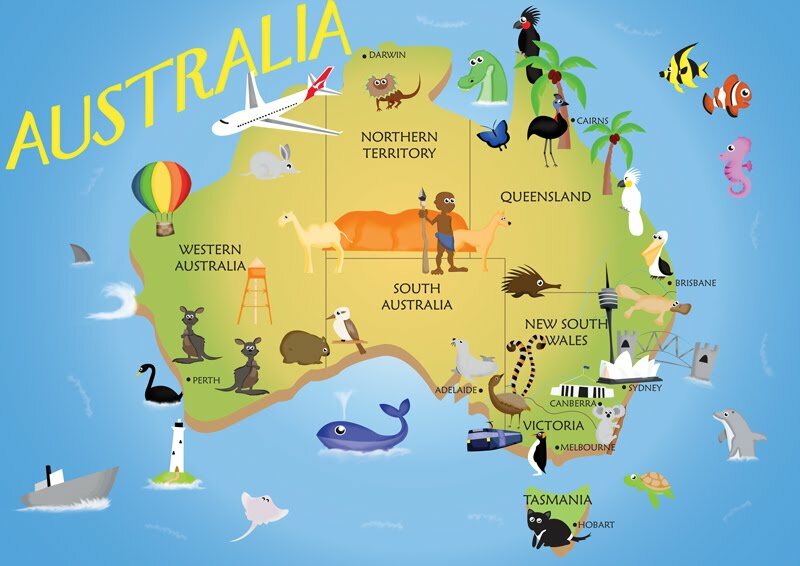 This half term our topic is 'Australia'. We will be looking at the different States and Territories of focusing on certain landmarks. We will also look at how life in Australia compares to life in England. During art lessons we will also be learning about aboriginal art and even designing some of our own art work. We also have lots of lovely Australian stories that we will be using in our English lessons. In science this term we will be focusing on life cycles and healthy eating. Who works with us in year 2? In year 2 we have lots of people that help with the children's learning. Miss Simms is the class teacher in 2S and Miss Watts also works with us. Next door we have Mr Hazeldine who teaches 2H and Mrs Wilkinson who also works with 2H. The children need to have a PE kit in school at the start of each half term. This should include indoor and outdoor clothes. PE kits can remain in school and will be sent home at the end of the half term to be washed. PE lessons take place on Tuesdays with Mr Hazeldine and Wednesdays with Mr Jones. The Spring Term homework will be uploaded to our website page under the tab 'Homework'. There will also one in your child's diary. The children need to complete enough homework in the term to gain 12 points. There will be a homework exhibition at the end of the term and an opportunity for you to view the pieces of work completed by the classes. The dates for the submission of homework and the exhibition are on the homework grid and on the school calendar.